In March 2018, the Chinese government decided to integrate China’s entry-exit inspection and quarantine duties and workforce into China Customs. Since 20 April, the previous entry-exit inspection and quarantine officers in 306 ports nationwide have started to work as Customs officers. This marks the birth of the new China Customs. However, the reform has brought us not only opportunities, but also challenges. How to achieve the full integration of Customs and inspection and quarantine services. Such an endeavour requires developing completely new clearance procedures and information technology (IT) systems. Only by integrating the IT platforms of the two agencies can we stimulate a “chemical reaction” that truly transforms China Customs, and bring about the “1+1=2” result. Procedures were simplified, international standards adopted, and the IT database structure reconstructed and optimized, according to different business models. The costs associated with preparing documentation incurred by traders, and the costs associated with the administrative supervision borne by Customs have been reduced simultaneously, ending in a “win-win” situation for both traders and Customs. How to safeguard the national gateway. The new China Customs shoulders greater responsibilities in terms of border security and risk prevention in areas such as revenue collection, public health, bio-security, food safety, illegal items, and goods in general. How to achieve a comprehensive opening-up and better management of e-commerce transactions. In recent years, the trade volume of cross-border e-commerce in China has been soaring. For example, in 2017, China Customs handled 1.89 billion inward and outward parcels. On 11 November, the most popular shopping day in China, also known as “Double Eleven,” our Customs Clearance System for Cross-Border E-Commerce processed a total of 16.19 million overseas shopping manifests. With limited resources, we turned to technology to improve efficiency and save human resources, thus bringing about technology-driven changes. We have already made some progress over the last five years. Some of them are presented below. In 2017, we explored the use of Artificial Intelligence (AI) in equipment inspection image systems such as X-ray, Back Scatter and Millimeter-Wave screening technology. Pilot projects were carried out in some Customs districts to test the machines’ auto-detection capabilities. The technology seems promising as we managed to find prohibited and restricted items utilizing an automatic detection application. As a result, the technology will now be deployed to some of the inspection equipment, which will be connected to the Customs information systems as well to a bank of scanned images. As some passengers enter the country with goods below the quantity and value threshold that could otherwise attract duties and taxes, we used Facial Recognition (FR) technology to build a facial database of frequently incoming and outgoing passengers. Officers are now able to more easily locate suspects in the passenger inspection channel and conduct a non-intrusive examination using Millimeter-Wave (MMW) body scan equipment. Our efforts in this regard have greatly deterred illegal concealments and smuggling activities. In addition, robots have been deployed to answer passengers’ questions and guide them through the Customs clearance process. We are also exploring how robots could assist our inspection and radiation detection work. The new Customs information system has been built to integrate and analyse “Big Data” – i.e. data aggregated from various sources and in multiple forms. A Big Data Application Centre and a Big Data Platform have thus been established. We have gradually shaped an operating mechanism, which combines expert risk analysis and machine intelligence assistance in our law enforcement activities. Through accurate data analysis, we can effectively balance the relatively limited human resources and the growing supervision workload. For example, experts have transformed thousands of successful cases into algorithm models. Hundreds of smuggling cases have been cracked down upon, with a value of over 16 billion renminbi. China Customs has also deployed CCTV to enable real-time monitoring of over 1,900 sites where Customs operations are undertaken. 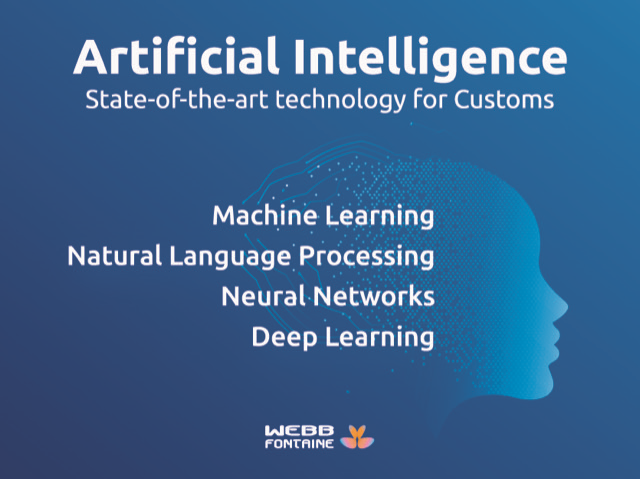 An integrated platform merges the functionalities of both a Customs information website and a Single Window, providing almost all services related to Customs and port procedures online. In 2017, 50% of trade documents were processed through the Single Window, a figure which is predicted to reach 70% by the end of this year. We also fully opened access to Customs’ operational data, which allows enterprises to follow the declaration process via the Internet, mobile applications and even social network systems. Furthermore, a Customs Targeting Centre and a Supervision Centre for Revenue Collection have been established, each developing its own risk analysis processes separately. Wherever they are located, enterprises can now enjoy a standardized Customs service. With these initiatives, the Customs clearance time of imports and exports in 2017 was reduced by one third compared to 2016. We believe that, to improve control mechanisms, our IT environment must reach international standards and evolve continuously. The exploration and implementation of new technologies is an ongoing process that will never end. Our resources are now being focused on exploring how Blockchain technology can help us develop trusted, safe and efficient trade chains by collecting and sharing data covering all stages of domestic and overseas production, processing, storage and usage. Last but not least, we are also looking at Virtual Reality (VR) and the possibility of using it to train officers to handle terrorist attacks, deliver epidemic control or manage vessel inspections. Pilot projects in this regard are currently being promoted at various Customs units.